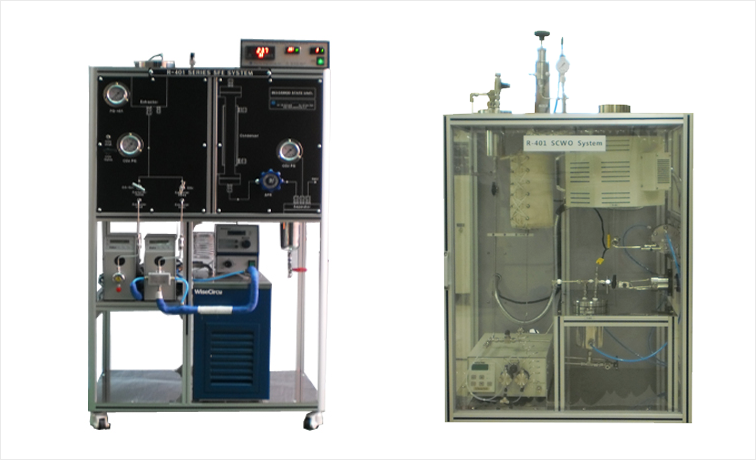 Polymerization, Hydrogenation, Dehydrogenation, Oxidation, Amination, Distillation, Organic Synthesis, Catalytic Reaction, Isomerization, Poly-Silicon CVD, Poly-Silicon FBR, Bio- Polymerization, Gasification, Fuel Cell, Supercritical Extraction, Subcritical Extraction, Catalytic Combustor, GTL Process, CTL process, Coal Slag Tester, CO2 Dry & Cleaning, DME Process, etc. – The vessel of R-201 Series Reactor is metal. 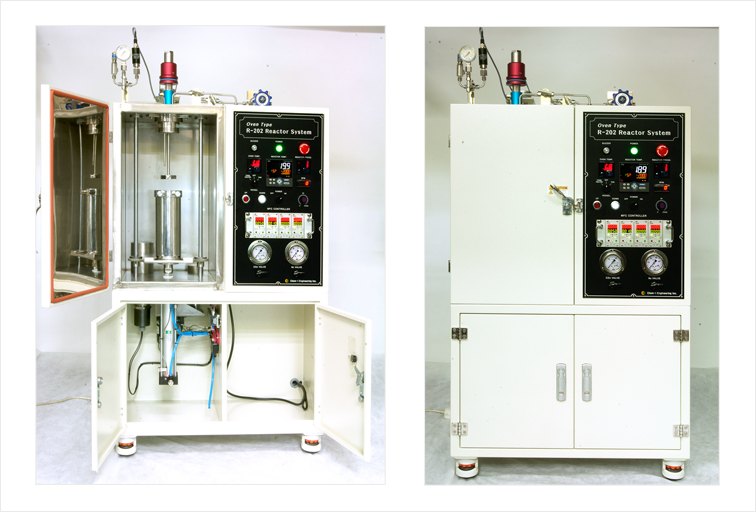 – R-201 & 211 Series Reactors are designed to select between the metal vessel & glass vessel. And these are designed to move vessel by pressure cylinder easily. Series Volum ID Conn.Size Stand Heater Max. Please contact to us for other temperature, pressure and capacity besides above standard specification. 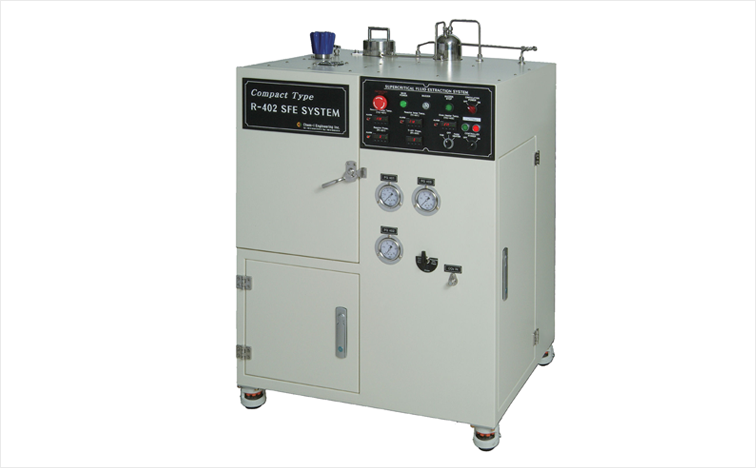 – The vessel of R-211 Series Glass Reactor is glass. Series Volum ID Conn.Size Staand Heater Max. Compact design of the complete system for easy installation and also easy transport by wheel. Oven system surround reaction zone can keep the even test without any effect from any change of circumstance. Also, it can of reactor can keep even temperature of oven circumstance. · ZONE : 2 ~ 5 ZONE. · MAX TEMP. : 1000℃ MFC : BRONKHORST,BROOKS, LINE-TECH,ETC. · TYPE : JACKET, SHELL & TUBE TYPE, ETC. (Only PC version) 2. MFC-Liq. 5. 300ml 5. 3000psig 5. 800℃ 5. Other 3. Pump-Liq. 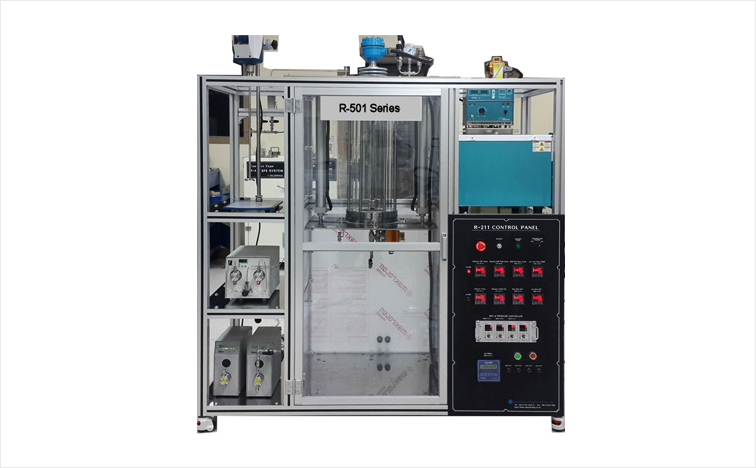 – As for Capacity, it is standard from 20mL up to 2L, and when it should be an optional selections available. – Designing is available from 20mL up to 500mL for 10,000psig, 5,000psig when 1Liter and 2Liters. – Without the effect on surrounding temperature users can make the temperature uniform. – Users can gain the extract from the extractor more easily than system. – Users can open & close the cover from the vessel because of pin type. – Users can move the extractor by lifing in the oven easily. · Material : 316SS, hastelloy C-276, Ti ,inconel, etc. – Elapsed Time (HH:MM:SS) : Shows Entire Elapsed time. – Reaction Time (HH:MM:SS) : Shwos Date Saving. – Support Korean version of File Name. 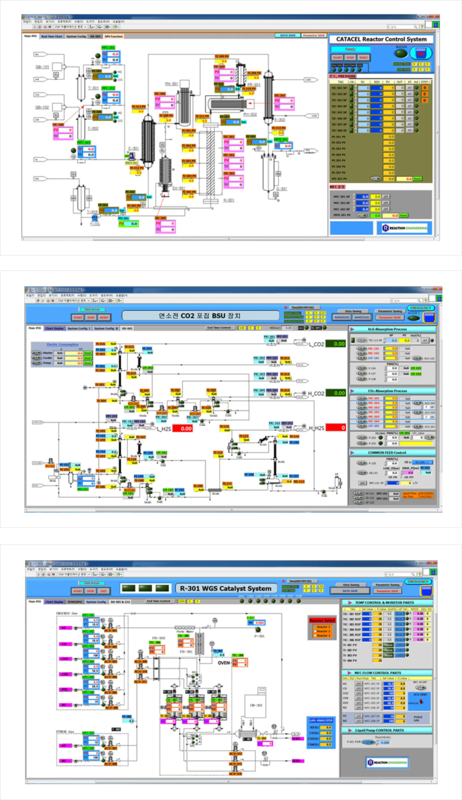 All systems can be remotely controlled by the Software Program.